Climate change deniers cite snowstorm: Debunking Donald Trump et al. 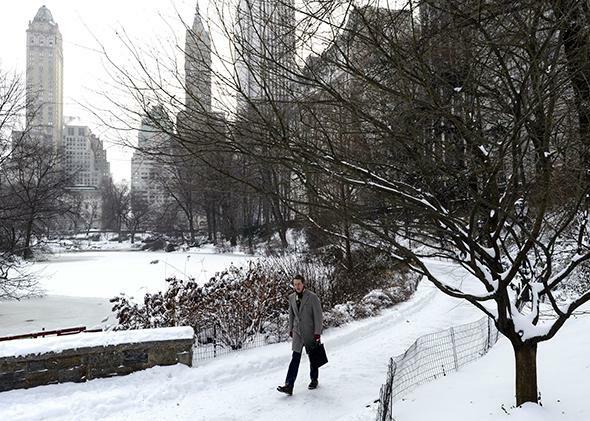 A man walks through the snow in Central Park on Jan. 3, 2014, the morning after the storm Hercules hit the Northeast. 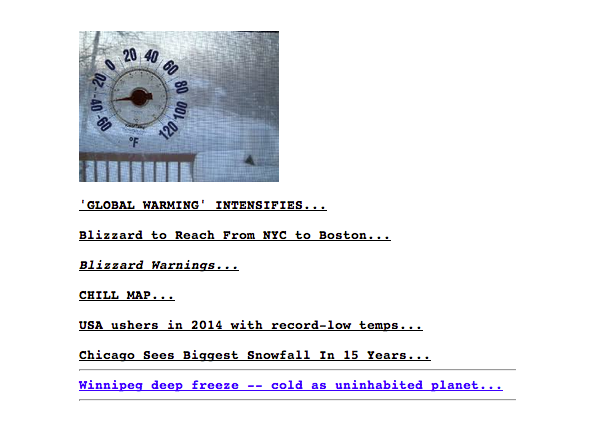 This is not proof that global warming doesn’t exist. An intense blizzard, appropriately named Hercules, has blanketed the Northeast. Antarctic ice locked in a Russian ship containing a team of scientists—en route, no less, to do climate research. Record low temperatures have been seen in parts of the United States, and in Winnipeg, Manitoba, temperatures on Dec. 31, 2013 were as cold as temperatures on … Mars. I would love to see Barack Obama, Bill Clinton, and Hillary sitting outside on the 50 yard line of Green Bay the whole game, and then afterwards do a presentation for us all on global warming. Sit there the whole game outside.